Burnt orange looks amazing on you.. and I loved that you paired the sweater with those leggings.. very pretty! 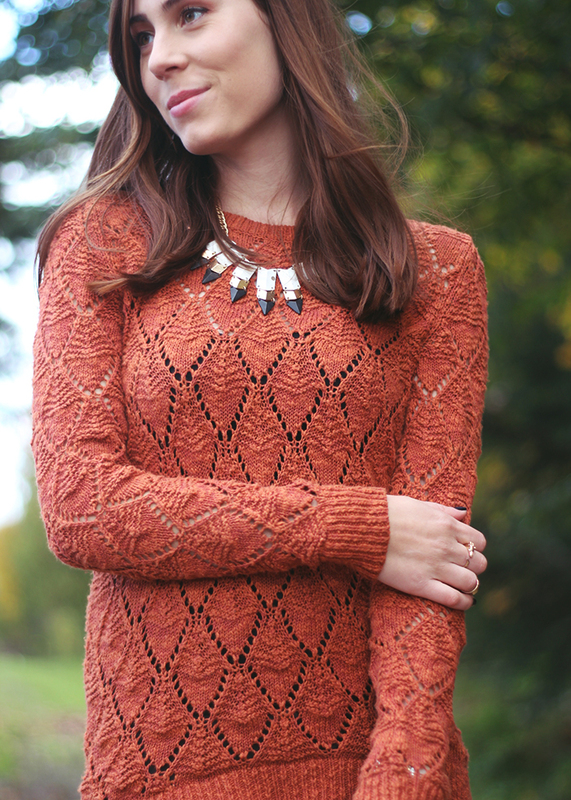 Great outfit, just perfect for autumn! I never wear orange, but your sweater looks so cozy! I've never really liked orange either, so I was surprised when I liked this! haha. Thanks so much Crissy! compliments from you are very highly regarded, haha.